Puts Product where it belongs and nowhere else! Holistic pet supply shop offering food, treats & herbal supplements, plus free health consultations. I love my skin slipper. I use it to apply topical medications to my cat. I also gave one to my best friend because she gets manicures with gel coated nails, and doesn’t like sticking her fingers into tubs of lotion or other product. She uses hers all the time, and is now able to get product she likes, including thicker body butters that can’t be dispensed with pumps. I just discovered this, and got two! I use one for applying my hair color (root touch-up). It’s so flexible, I can actually get into the under-layers easily for full coverage ! also use it for applying hair masque to my hair– otherwise, it’s such a mess. 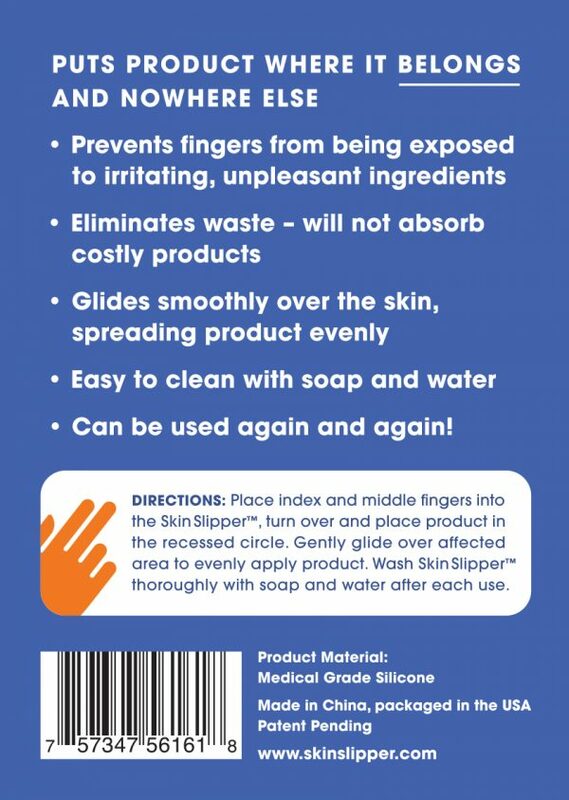 I use the other Skin Slipper for skin care products that are packaged in a “tub.” I do this to keep the product in the tub cleaner, vs. introducing bacteria constantly with my hands. It’s much easier to use than the little “Barbie spatula” that’s packaged with tub-style products. I’ve been using my Skin Slipper for over a month and really love the way facial creams glide on. Over this period of time, I have a noticeable softness and clarity to my skin. 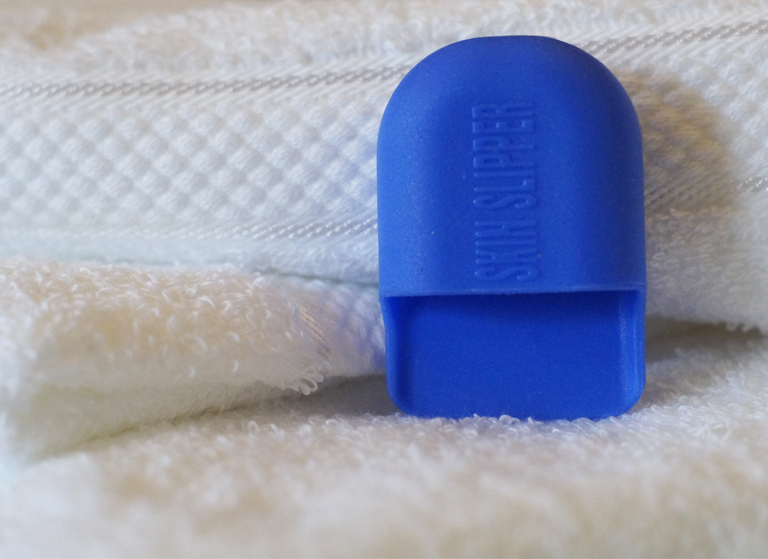 More important, the easy mild soap and water cleansing, allows my Skin Slipper to quickly air-dry; ready for the next use. Consequently, I’m no longer worried about transforming hand bacteria to my face. 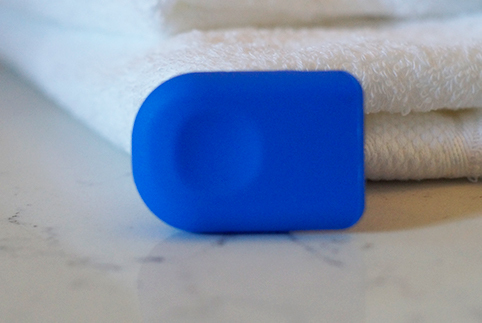 The packaging is quite convenient for travel and small enough for medicine cabinet storage. 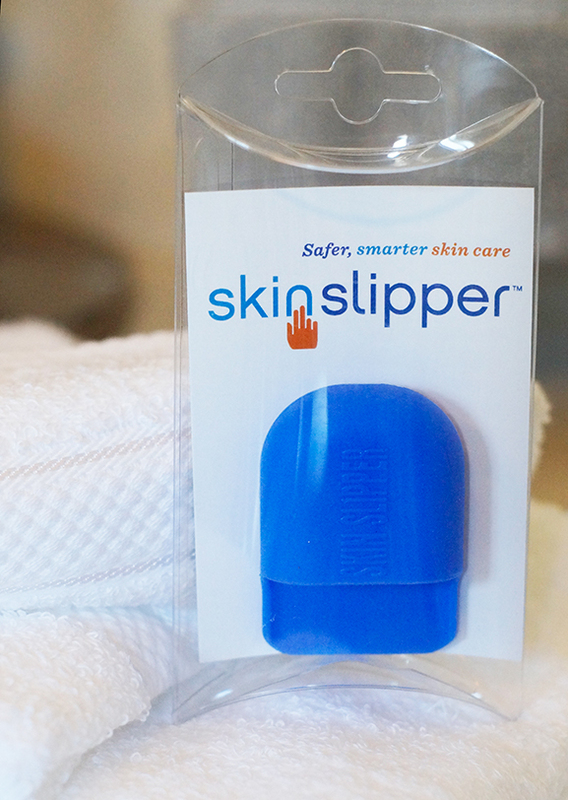 The ingenious Skin Slipper has become an absolute must for my beauty regime.